Thank you for this encouragement to dare to open ourselves completely to God. As a mother myself, daring to offer God my children is sometimes the hardest struggle. Thanks also for daring to write--it is good to find your blog through Five Minute Fridays! Erin, thank you for stopping in. Isn't doing FMF fun? and yes... giving our children over to God is a tough thing. 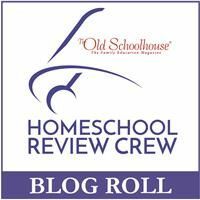 The so-many-opportunities for those kinds of talks are part of what makes homeschooling wonderful. Keep daring with your children! it is good to dare with my son...even through those hard moments. That was a powerful story and a great challenge. I love these writing prompt challenges that you share. Very inspiring! have you ever taken part in them Tina? Well done for sharing your emotions. It's not easy to do, but it's good for children to understand and accept emotions, theirs and others. Thanks Crystal. :) some conversations are certainly easier than others aren't they?